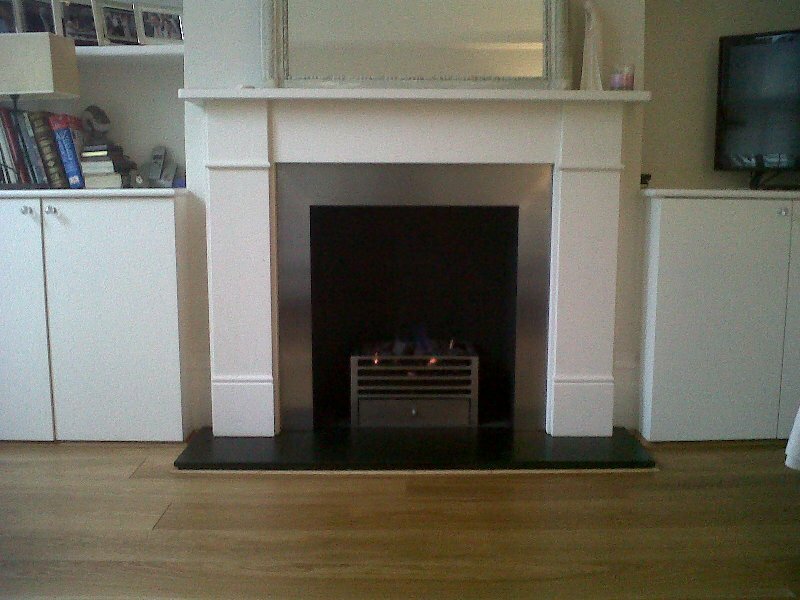 Classic Limestone Fire Surround with Stainless Steel Slips. This fabulous client contacted us to update the old fireplace in her beautiful terraced house in Wandsworth, London. She wanted something more modern in design that would fit in with her overall redesign of the house. After reviewing many styles, a classic limestone fire surround was chosen. 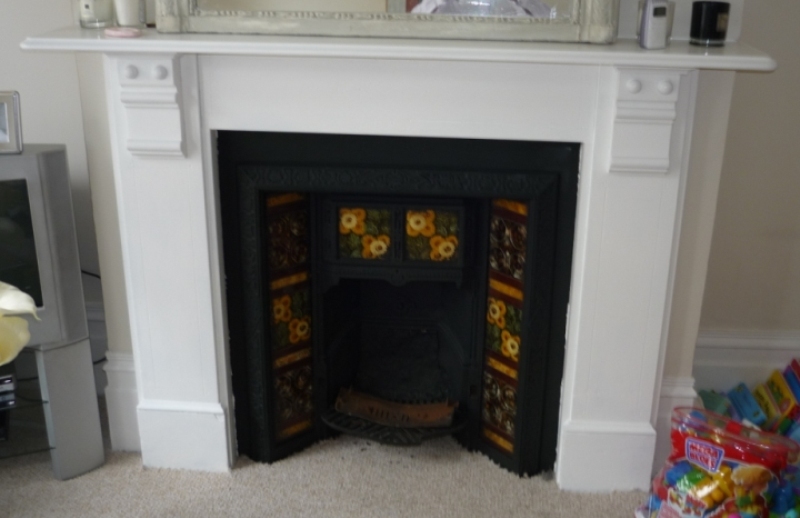 The old, existing fireplace was a lovely Victorian corbel fireplace with a cast iron insert. However, as with many of these types of fireplaces in London, they are often damaged, difficult to use or difficult to convert to a gas fire. Classic limestone fireplaces can be used with gas fires, electric fires and real fires. Their design is equally at home in modern and traditional interiors. For this project we also fitted a slate hearth and a contemporary style fire basket from Chesney’s to complement the stainless steel slips and complete the look. Finally, the client was really thrilled with the end result. For more information on limestone fire surrounds like this one, please contact The Billington Partnership.